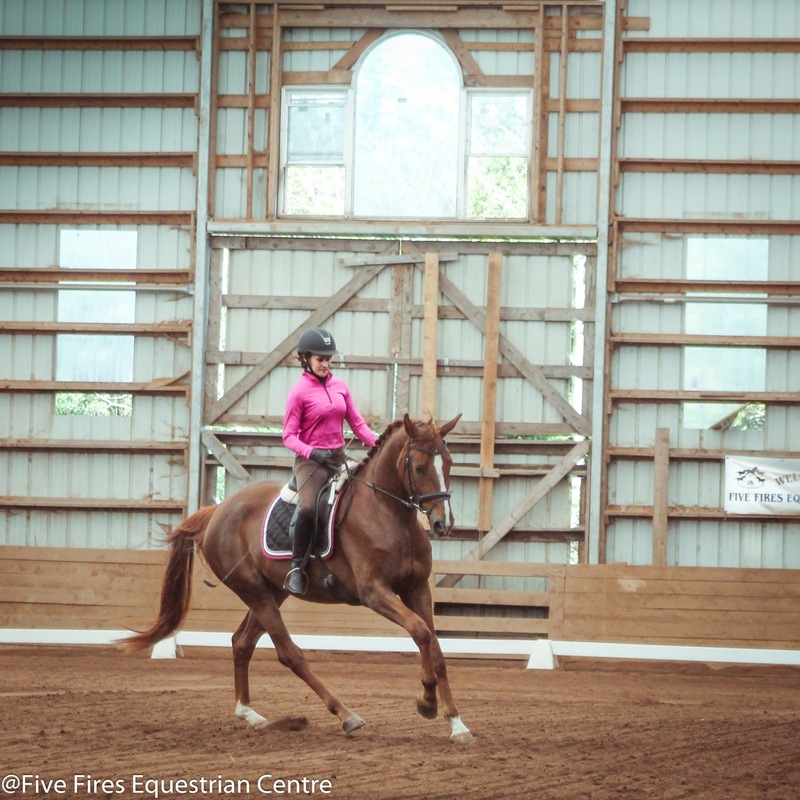 Surprise participated in her first ever clinic last weekend, with Canada's top ranked dressage rider Brittany Fraser Beaulieu. 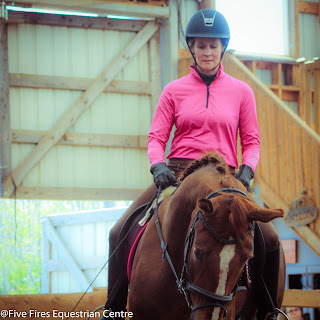 Terri Braithwaite rode her in the clinic. Terri backed Surprise last fall (and did a FANTASTIC job) and was the main rider until March. 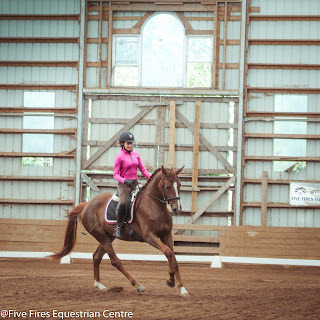 I offered her Surprise to ride in the clinic because I didn't have a rider spot, but to be honest I wasn't sure I'd be ready to ride her in a clinic anyway (story for another post, but as it turns out I'm riding her all the time now). Brittany was a wonderful clinician, quickly focussing on each partnership's main needs and coaching them through exercises to improve their specific training goals. Each combination noticably improved and there was dramatic improvement over the two days with some of the participants. Poor Surprise didn't know what hit her. Ha ha, I'm kidding. She was a star but she was pushed to a new level of work and that's a good thing. She was ready for it. Anyway, she stepped up to the plate and worked very well. She's solidly schooling training level and even a bit of first now. She still needs to reach into the contact more, especially when she gets tense (she gets behind the vertical) but all in all she's progressing nicely. 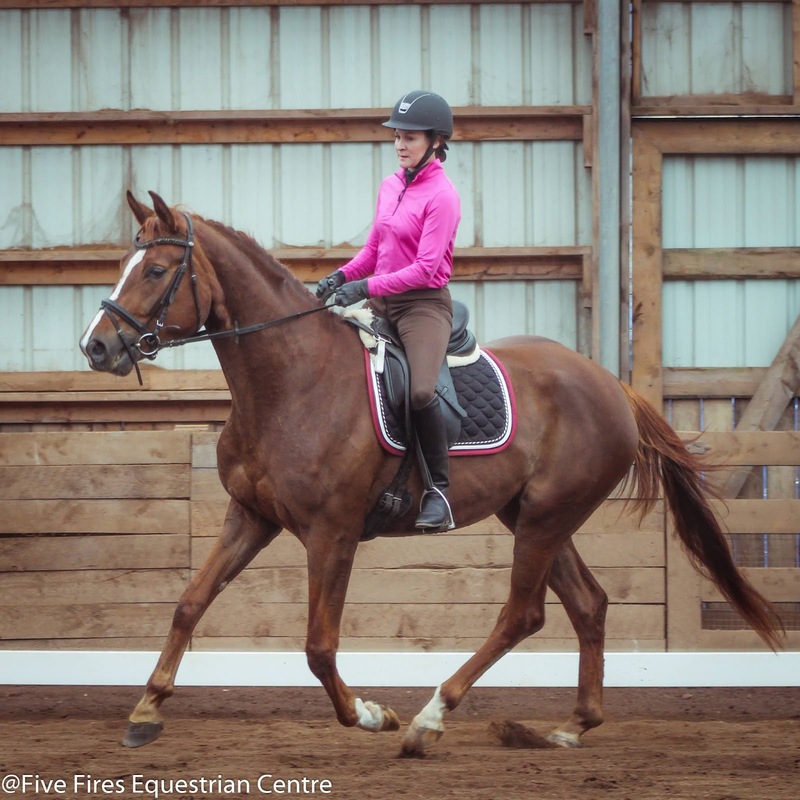 Here are a few photos of Terri and Surprise in the clinic, as well as a video clip. Surprise looks like she's making great progress. Lovely horse. Big girl; she's look fantastic for not-yet-four! She is lovely!!! Also I really admire BF, would love to ride with her someday!